I have really been wanting to use the Gorgeous Grunge stamp set for a while now but I'm it just feels unnatural to me to be messy when I'm making cards, I want them to be all nice & neat. So I had to go fishing for some inspiration on Pinterest to get me started. If you have a look in my Cards I Love inspiration board, you'll see that I've saved a few pins using this set, but I've put my inspiration card & it's link after my pics below. So here's what I've come up with & I'd love to get your feedback on what you think? 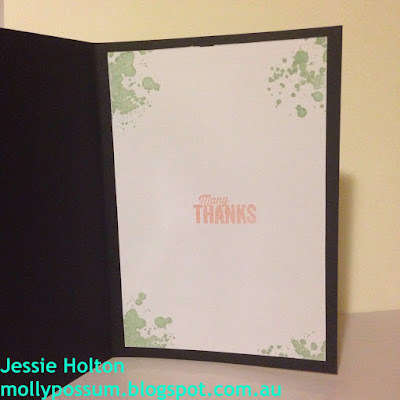 For this card, I have used a Basic Black cardstock base layered with Whisper White cardstock. 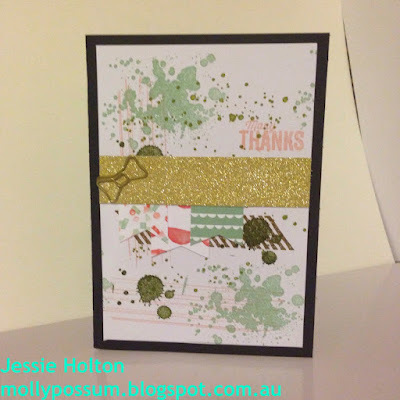 I have done all my stamping before I have attached it to the card base. The sentiment is from the Another Thank You stamp set. The ink colours I have used are Blushing Bride, Mossy Meadow, Old Olive, Mint Macaron & Soft Suede - basically all the matching colours from the Birthday Bouquet Designer Series Paper. 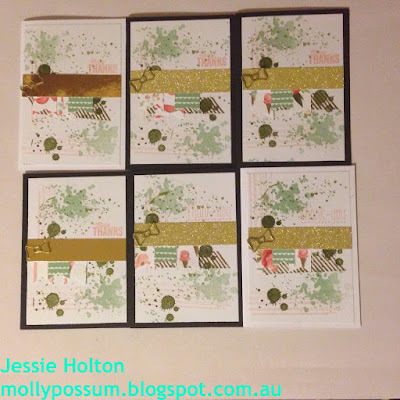 I made six of these cards, so I lined up all the white covers & stamped them all together, so some of the stamps have overlapped onto the cover next to it. I have used the same technique on the inside to stamp the corners. 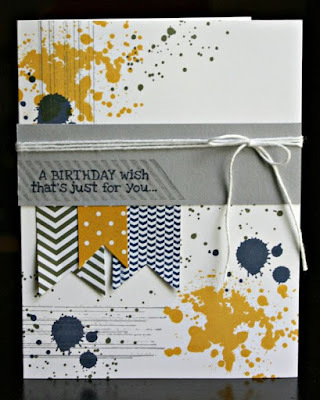 I have used the Birthday Bouquet Designer Series Paper for the smaller banners. I think next time I will do plain coloured banners, or maybe outline them in black so they don't get lost in the card. For the main banner, I have used Gold Glimmer Paper & I have also added a little Bow Paper Clip. I have used Snail glue to stick it all together. The inks I've used on the inside are Blushing Bride & Mint Macaron. Same, same but different. 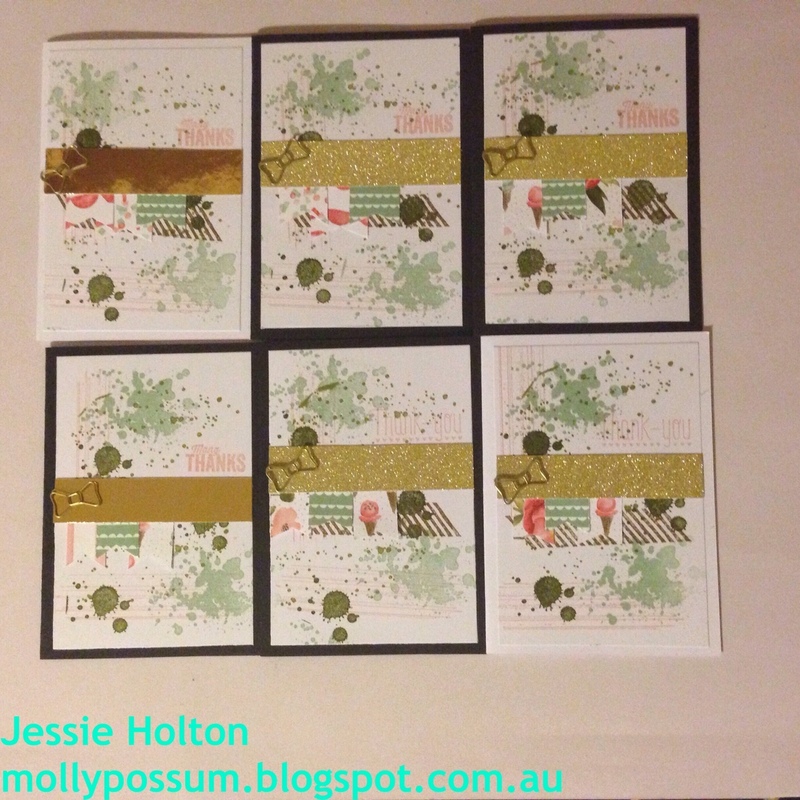 Some with Gold Foil paper & some with Whisper White bases. Both sentiments are from the Another Thank You stamp set. Here are the links to the products as mentioned & a couple of my staple products. Click the image to go to my online shop. Remember to use my January Hostess Code 3XZPXN3X so you get to share in the total Rewards for the month - keep reading for more info on the Rewards you can earn! !